You’re on your third cold of the season, you’ve used up all your sick days, you’ve single handedly kept cough medicine and tissue companies in business, and you’re dying for someone to tell you how to boost your immune system because it’s seriously letting you down. Well, no wonder you’re sick all the time! You fight your alarm clock, then traffic, then grocery store lines, over and over and over … you’re body is so run down! Who has the time to fight off another cold when you barely have time to fight through the day? On average, 5% to 20% of Americans get the flu every year, and I want to help you build your “army” so you aren’t one of them. All you have to do is keep doing what you already do 3-5 times a day – eat. But you gotta get these particular healthy foods in. Some yogurt contains probiotics (AKA good bacteria) that help support your immune system. Studies have shown eating yogurt rich in probiotics can lead to an improved immune system by increasing white blood cell counts. The key is to make sure the yogurt you are eating has the strain of bacteria that supports your immune system. This benefit should be listed on the package. Unexpected foods make any meal or snack a tad more indulgent. Use yogurt in surprising places instead of simply in healthy snacks or part of a healthy breakfast. Try a dollop on black bean soup, mixed with peanut butter for a sweet dip, or mixed with herbs and spices to coat chicken. Sneak in extra defense against the sniffles by adding mushrooms to your diet. These funky looking guys contain vitamin B2 (riboflavin), an antioxidant that fights free radicals and is key to fighting conditions such as heart disease and cancer. Just one cup of mushrooms contains 24% of your daily needs. Mushrooms also contain both selenium and ergothionine, which can lower the risk for joint inflammation as well as other chronic diseases by protecting body cells from damage. Grill a Portobello mushroom as your “steak” and round out the meal with a small baked sweet potato and sautéed spinach. Or “beef” up an omelet, a salad, quinoa or soup by adding any and all types of mushrooms. Or shiitake bacon, anyone? 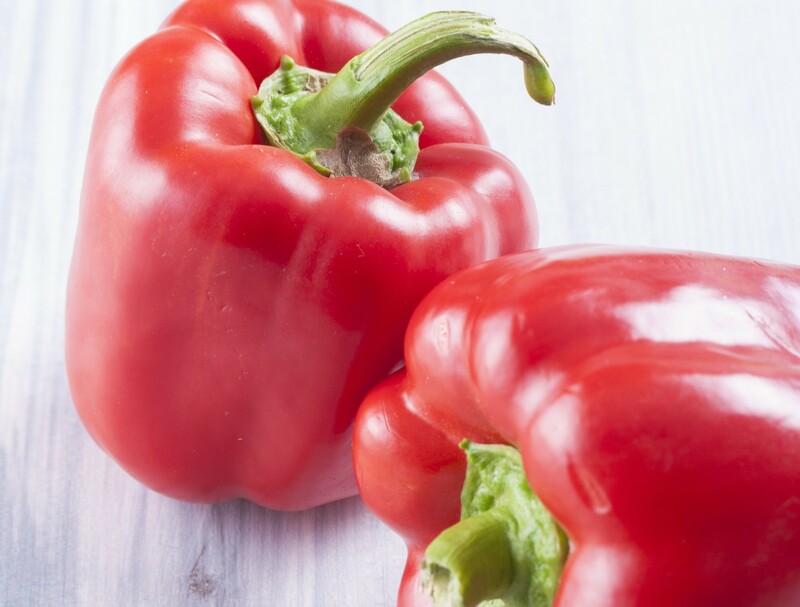 Gram for gram, red peppers have twice the vitamin C of most vitamin C-containing fruits and vegetables, even oranges. Research shows that increasing vitamin C can reduce the length of a cold as well as the severity of symptoms. Vitamin C is also known to help maintain the integrity of your skin, which is the body’s first line of defense against microbes and viruses. Slice ‘em, dice ‘em, just make sure to eat ‘em! Add them raw to a salad for an extra crunch, saute them into your favorite stir fry recipe for a touch of sweet, stuff them with quinoa for a delicious dinner idea, or always have them precut in the fridge for crudités at your fingertips. Your mother wasn’t wrong to give you chicken soup when you were home sick from school. Chicken soup has an amino acid, cysteine, which may be responsible in helping with the breakdown of mucus to relieve that persistent cough. Also, the soup’s salty broth keeps mucus thin the same way cough medicines do. Added spices and flavors, such as garlic and onions, can increase your soup’s immune-boosting power. Carrots are full of beta-carotene, known to help immunity strengthen the immune system. Ask your mom or your grandma for her recipe (it’s probably easy and delish), or try this one. Berries contain vitamin C, which has been shown to decrease complications related to the common cold and promote enhanced immunity. Vitamin C not only aids in iron absorption, which increases immunity by making both T cells and hypochlorous acid (used by white blood cells to kill dangerous pathogens), but it is also a well known antioxidant that protects the body against illness. You don’t have to pick them at the stand to reap berry benefits. Make berries a staple in your freezer this winter. Add to yogurt, smoothies or oatmeal for an immunity blast. If you’ve got some fresh ones in your fridge, use them in place of jelly on your pb+j or make a typically savory recipe like quinoa salad a sweet one instead. Finally, the sweetest defender of all…Honey! Honey has immunity-boosting power due to the antibacterial compounds which ward off bacteria to help fight infection in the body. Honey may even help sooth dry skin, which is just as worthy of fighting as a cold. If you need to sweeten your hot mug of tea, skip the artificial junk and add a teaspoon or drizzle on a hot baked apple for a healthy conscious indulgence. OR, try this delish Caramelized Pear and Pecan French Toast for a healthy breakfast. So, there you have it. Now that you know how to boost your immune system, hit the grocery store on your way home from work, make a batch of chicken soup, and tuck in early tonight to let your body have a little downtime from all that fighting.